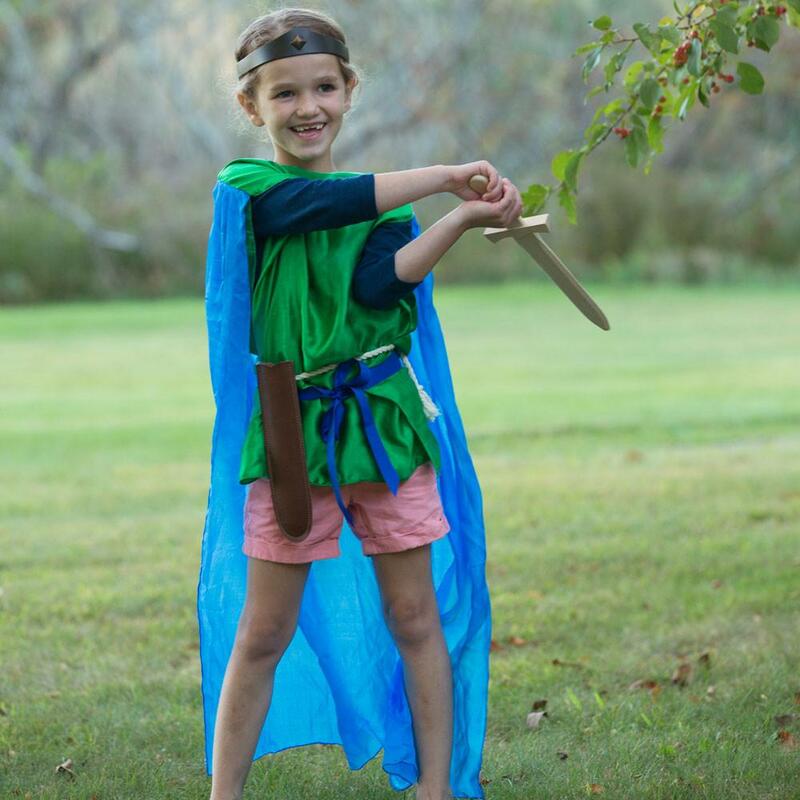 When your child slips a sword into the sheath at their side, dons a cap suited to Sherwood forest or adds another silk to their royal attire, they are exploring the archetypes that help us find our way in our world. These broad categories of “people” bring order to all the complexities children absorb in their early years of life. These archetypes are a foundation to their intuition; they help children better guess who might be a friend or when fleeing a situation is the best option. While parents will continue to encourage children to see the amazing texture and nuance of people and all of nature, this reductionist view is a shorthand that then allows children some space to experience more, adding to their worldview as they grow. Legend, fairy tales, myths and even nursery rhymes can feed their imaginations, giving them a widening circle of categories that they can, in turn, incorporate into their play. Such play allows them to experiment with some truth hidden in these characters. 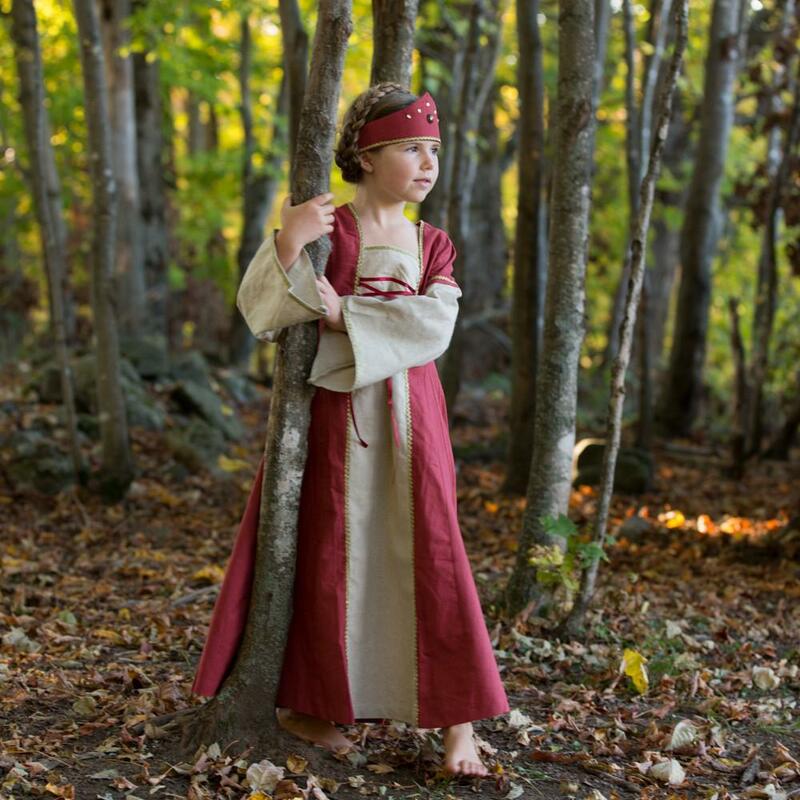 The characters in medieval stories seem to hold a strong attraction for children and adults alike. The innocent who needs rescuing or protection, the brave fighter facing a dragon, the wise ruler bringing order and peace to their kingdom each give a child the opportunity to find qualities inside themselves and others. These traits might be seen as positive or negative, but all are part of our human experience; this sort of play can foster compassion and even an understanding of the good side of a “bad” trait. The helpless figure in many of these stories can be off-putting. However, all of us can be tempted to hide behind a parent, boss or institution; all of us have felt vulnerable and exposed. When children pretend at needing a rescue, they can develop a deeper understanding for others who need a little help. They might also be more forgiving of the quality in themselves, accepting a needed hand. 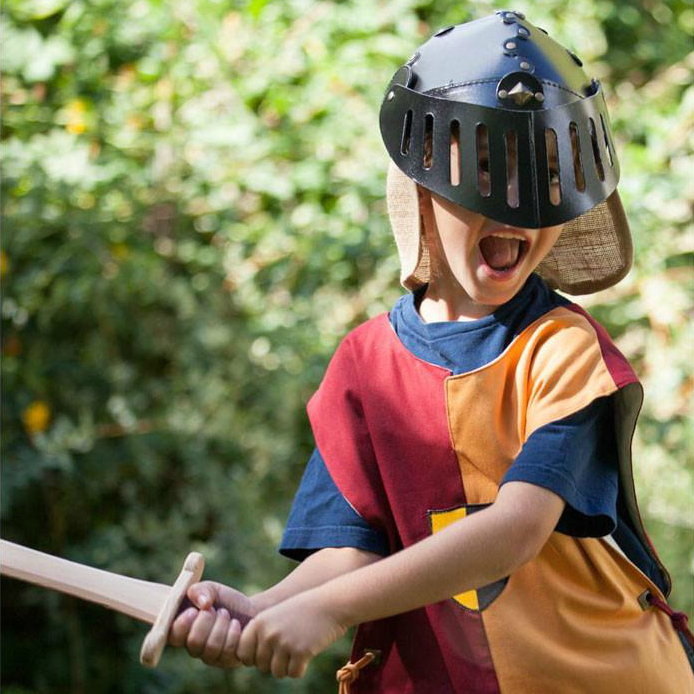 This play leads to empowerment as they shrug off the helplessness of one character, slipping roles in the fluidity of play to become the knight ready with solutions. As a knight, they can feel strong, even indomitable. With their trusty steed and a fabled sword, they can wend their way to victory. However, this character can trample others in their attempts to be the hero. The child who plays both captive and rescuer can learn through their play that no character is actually all one thing. They are driven to expand their understanding of their world and pretend play set in a land far, far away can feel like a very safe place to try out emotions and behaviors that they might not indulge in their “real” lives. They can be the rampaging dragon, the evil sorcerer, the wise magician, the beneficent monarch. In each change, they might discover something about themselves, about the real heart of the stories we tell them. This “heart” brings them truths about what it means to be human. 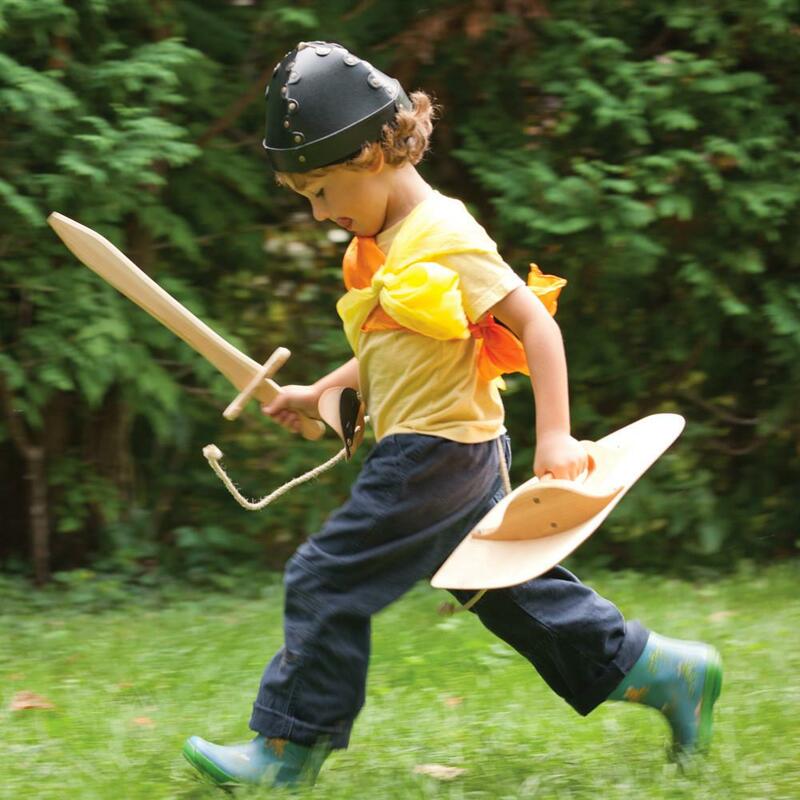 The broad strokes that might initially form these characters in your child’s mind make it easier for them to pretend themselves into each, and in that way, find greater meaning. What may start as gross assumptions has the chance to morph into the delicate and ornate fabric of life within a person’s paradigm.